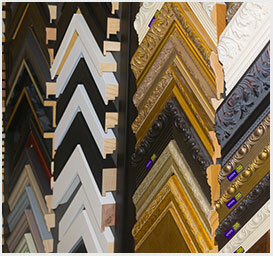 We have many styles, colours and textures of moulding’s and Matt boards to make your custom frame a special one. 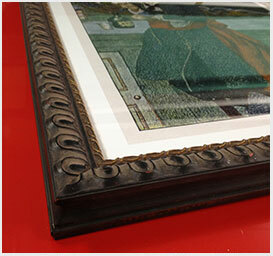 We provide re-glassing service for frames that have dropped and broken. 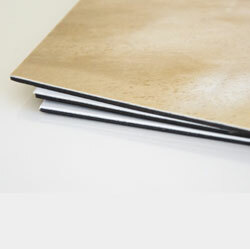 We provide canvas printing and canvas stretching solutions. 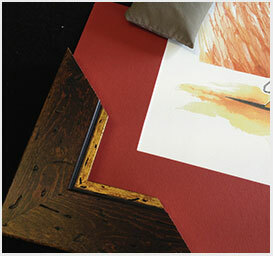 Visit us today, no appointment's needed, we will help you choose the right frame and matting solution. 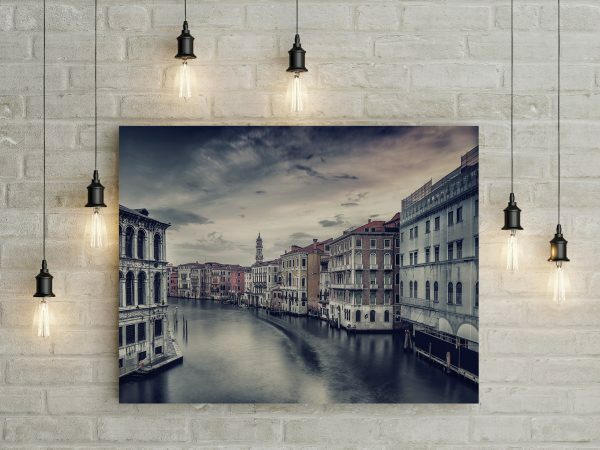 Our professional in-house printing and finishing allows us to provide you with custom canvas products at very competitive pricing and super quick turnarounds. 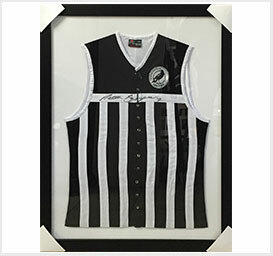 What a great way to preserve and add value to your signed top. 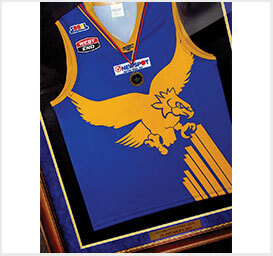 The single matt pricing is the guernsey floating on a matt board however most clients go for the structured layered look that multiple matt’s provide. 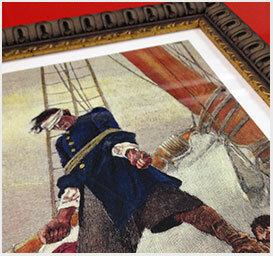 These multiple matt are cut in complementary colour schemes of the guernsey to be framed. 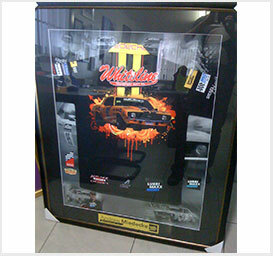 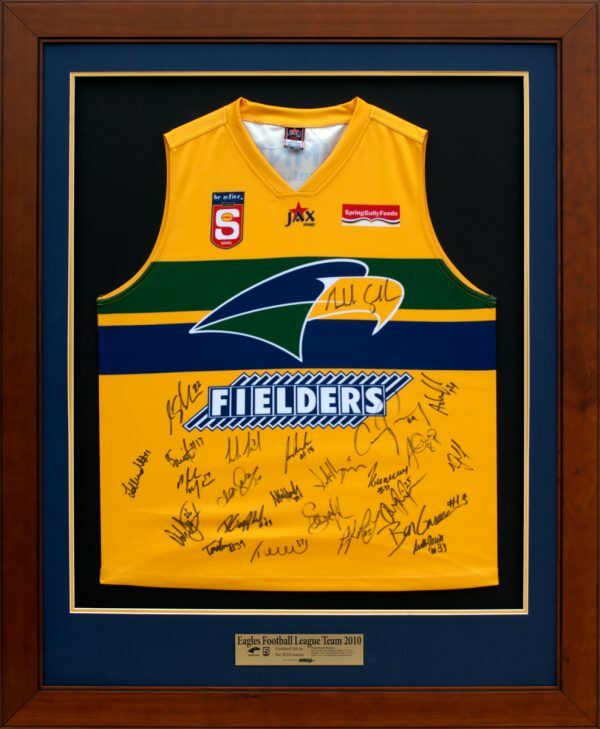 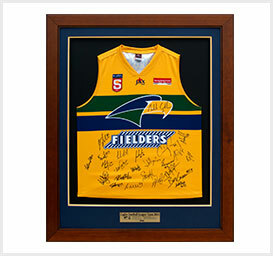 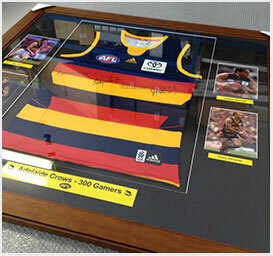 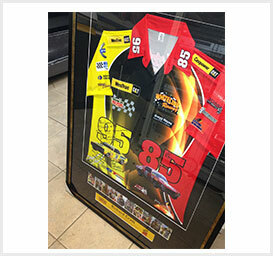 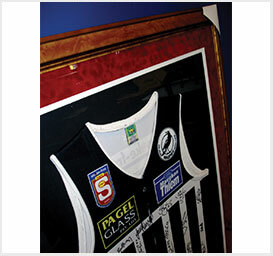 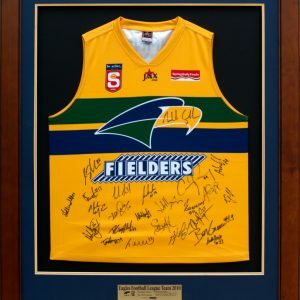 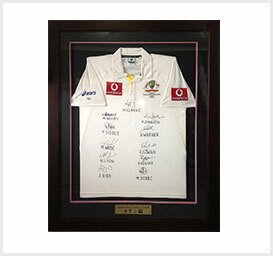 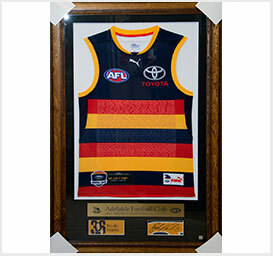 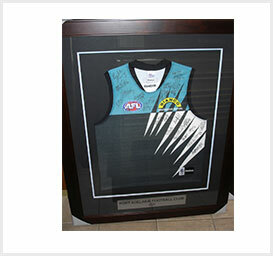 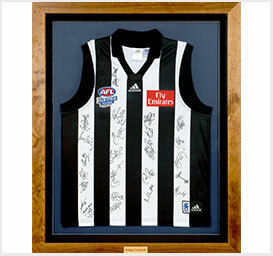 We frame any AFL or soccer guernsey, t-shirt or shirts. 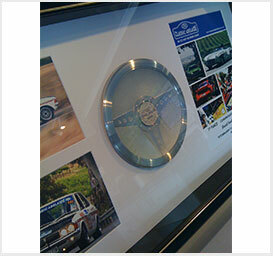 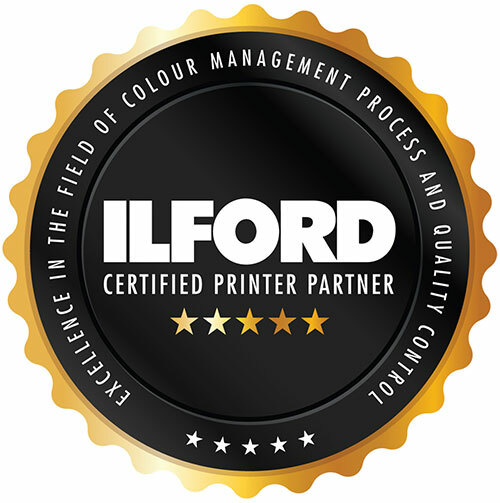 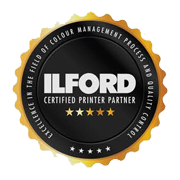 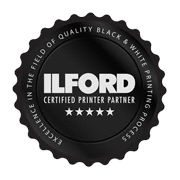 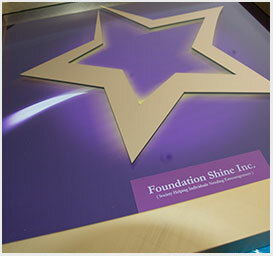 Optional extra’s priced on application include photos, photo collage background, labels and laser engraved plaques. 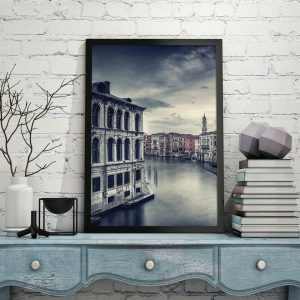 We can also stretch and frame custom canvas prints and artwork, many of our clients bring in rolled up canvas prints that they purchased on holiday for us to frame. 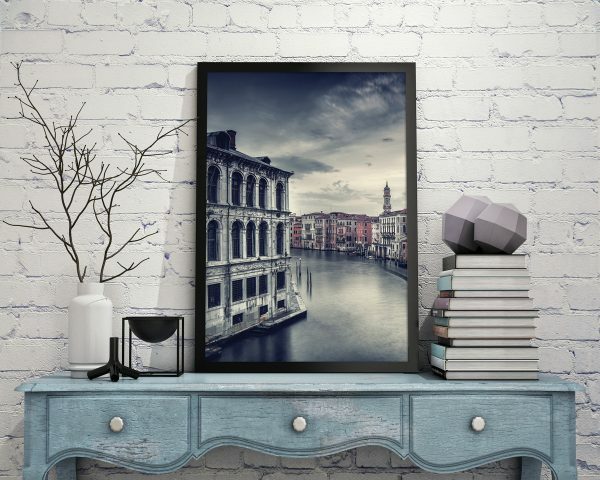 20 x 24" (500 x 600 mm) canvas printed ready to hang. 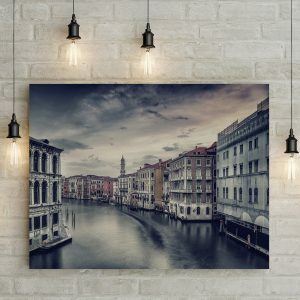 A4 (210 x 297 mm) canvas printed ready to hang. 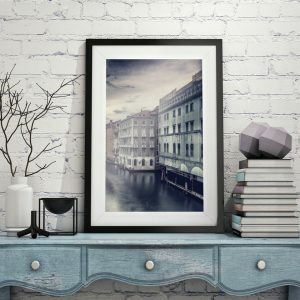 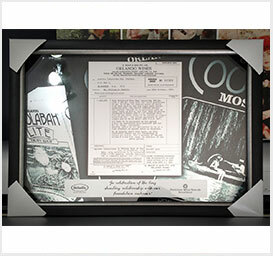 Mounting to 3mm acid free cardboard (framers mat board) is a great way to easily display photographs for award submissions and low cost gallery mounting. 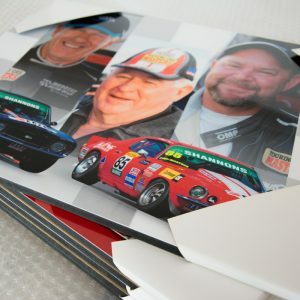 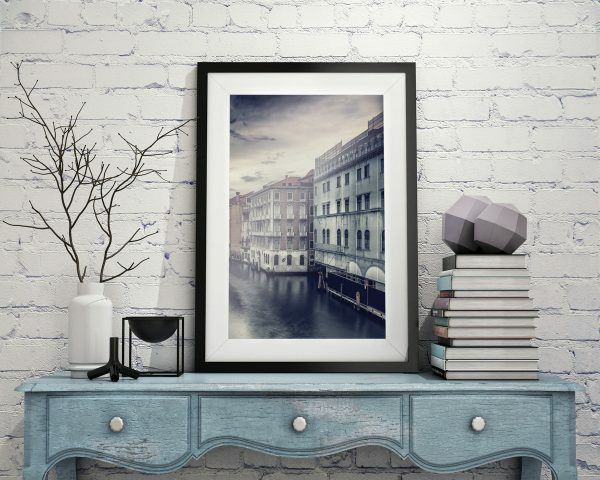 Block mounting to 8mm straight or bevel cut MDF board is the most common form or mounting posters and photos for a nice and clean display of your prints. 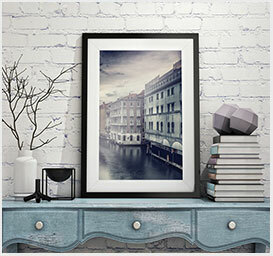 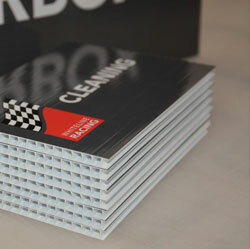 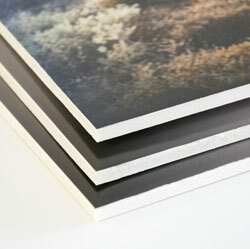 Our foam core is a premium Clay Coated picture framers 5mm adhesive board. 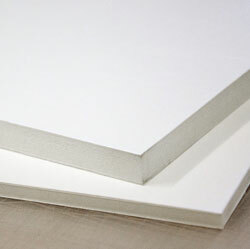 KAPA®plast combines plastic coated cover layers with a polyurethane foam core. 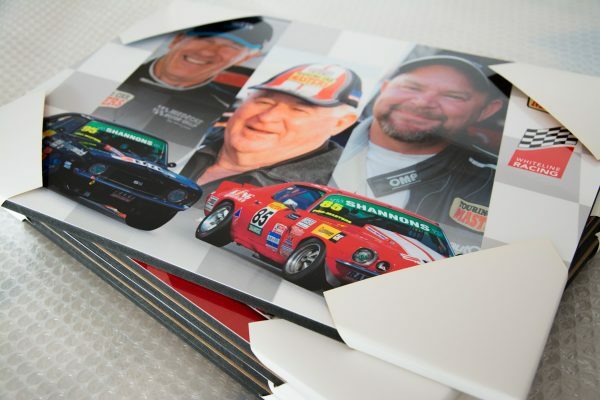 KAPA®plast’s non-crumbling foam core provides the ideal mounting option for large posters as this board is very light compared to traditional MDF mounting. 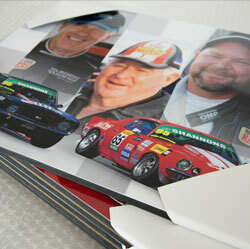 Prints need to be adhesive.